To allow CampaignChain to post to Twitter, Facebook and some more Channels, it must be able to access the REST APIs of such Channels. 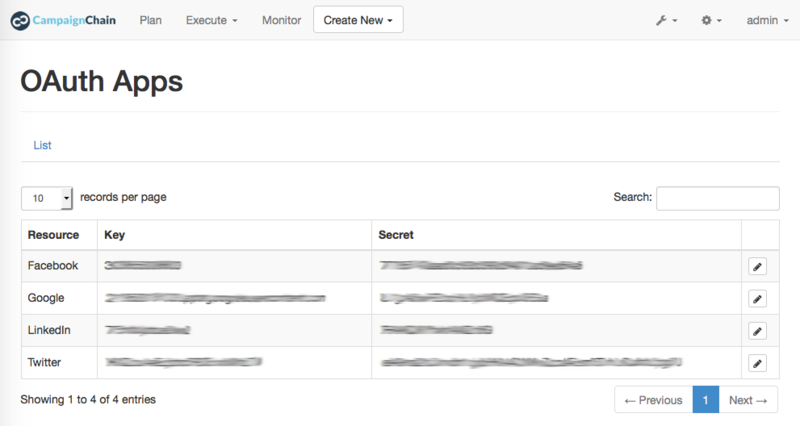 Hence, CampaignChain must be registered as an App with these Channels to receive an App Key and App Secret. 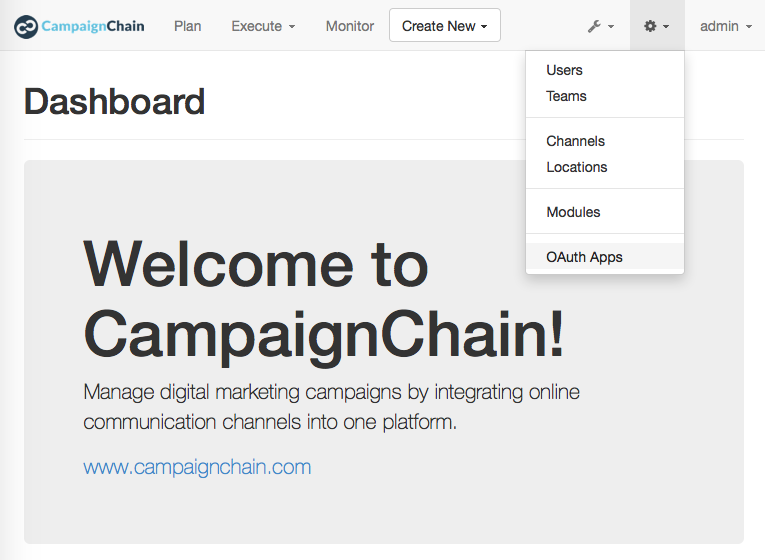 In the CampaignChain header menu, click the Settings icon and select OAuth Client Apps. In the list of OAuth Apps, pick the entry you’d like to edit by clicking on the Edit icon. Change the Key and Secret field and click Save.